A memorial five-kilometer run and walk to honor Jackson County resident and Medal of Honor recipient Danny J. Petersen will be held this Saturday in Oskaloosa, it was reported. Registration for the Danny J. Petersen 5K Run/Walk of Honor will be held at Larner-Segraves American Legion Post 36, 406 Delaware Ave. in Oskaloosa, from 5:30 p.m. to 7:30 p.m. Friday or from 7 a.m. to 7:30 a.m. Saturday. The entry fee is $25, and proceeds will benefit the Legion post. The event is being organized by Oskaloosa resident Laura Claxton, Petersen’s niece by marriage, and her husband, Cory, in the hope that it will become an annual event to honor Petersen’s memory and legacy. 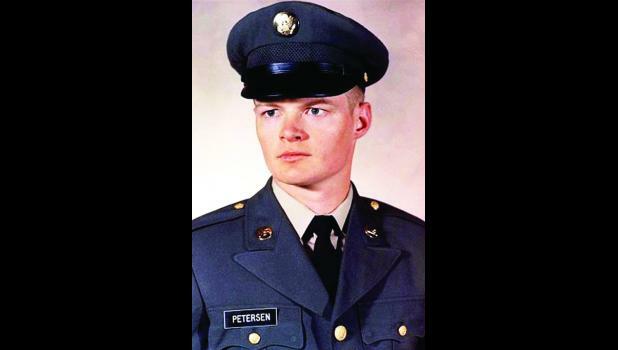 Petersen was a specialist in the U.S. Army during the Vietnam War when he was killed in action on Jan. 9, 1970, in Vietnam, while trying to protect his fellow troops. He was posthumously awarded the Medal of Honor for his actions. Saturday’s run is scheduled to begin at 7:45 a.m. at the Oskaloosa Legion post, where flags will be raised and “Taps” will be played, followed by a 21-gun salute and a moment of silence, it was reported. The race will start at 8 a.m. and awards will be given to the top male and female runners. Commemorative medals will be given to all race participants, it was reported. Funds raised at the memorial run will be used to make repairs to the Legion building and assist the post in helping those facing financial chal lenges pay their bills, it was reported.